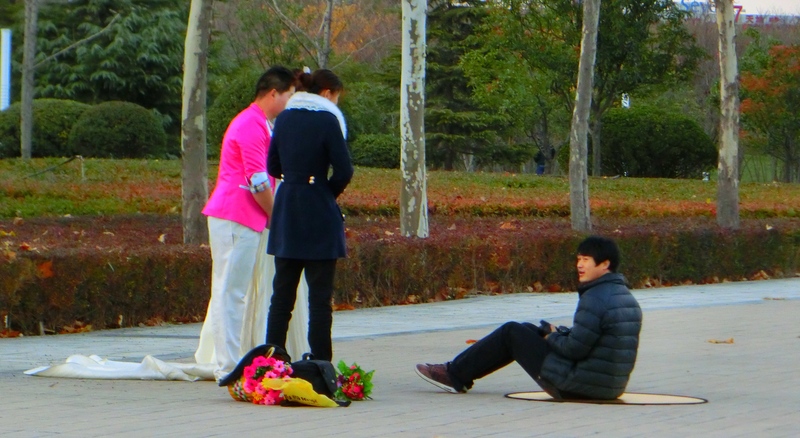 In China the wedding photos are taken before the wedding. 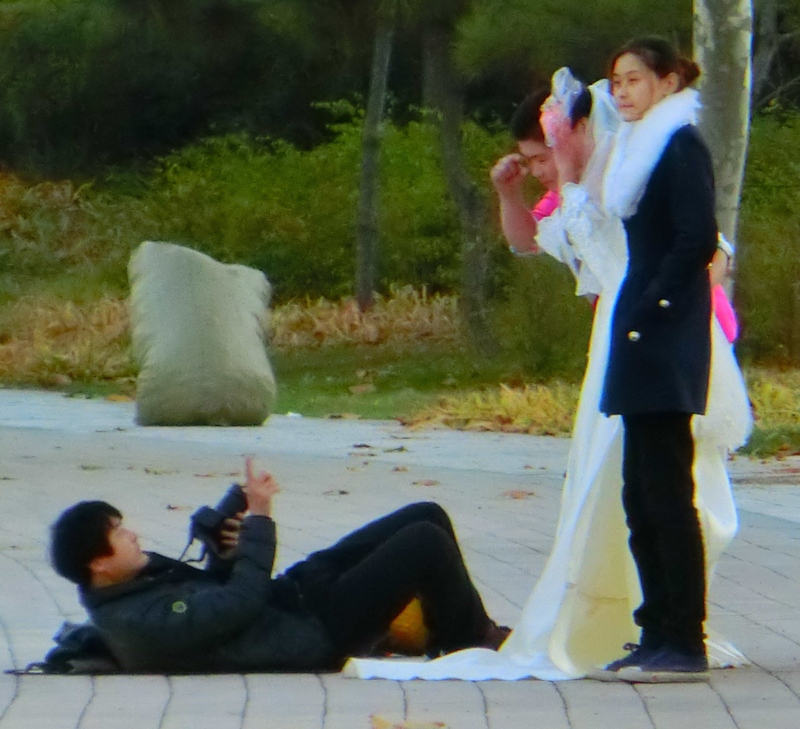 It is not unusual to walk through a park and see clusters of brides and grooms in various poses, and smiling to the cameras. There are many clothing changes, and even the grooms will have elaborate and bright colored tuxes and suits. The gowns range from beautiful and bride-full to kitschy ballerina. The photos transform the couple into their fantasy selves, and the best ones are put on display at the actual ceremony. 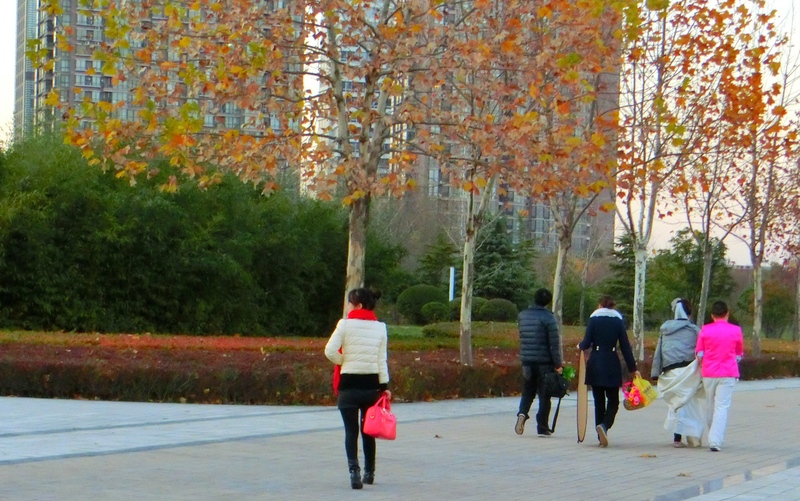 This entry was posted in China, Zhengzhou and tagged China, color photo, Henan, Henan Province, Living in Asia, Living in China, North China, people of china, travel, Travel Asia, Travel China, Zhengzhou. Bookmark the permalink.